Panel discussion with Pittsburgh Chapter members: Dr. Karen Shastri, Max Ruben, Margaret Smith, and Christina Keener. 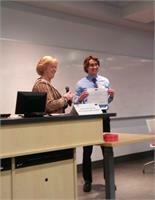 Nick Skinner, Recipient of $1,000 Scholarship, presented by Carolyn Wolfe. 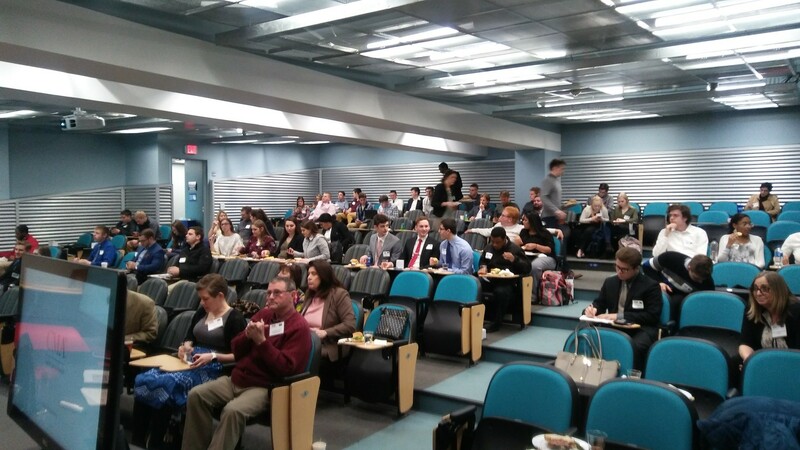 Students attended from Robert Morris University, Clarion and University of Pittsburgh. Over 75 students, faculty, and IMA members were in attendance for our 2nd Annual Student Night on March 27th. The event was held at Robert Morris University in Moon Township at Hopwood Hall. 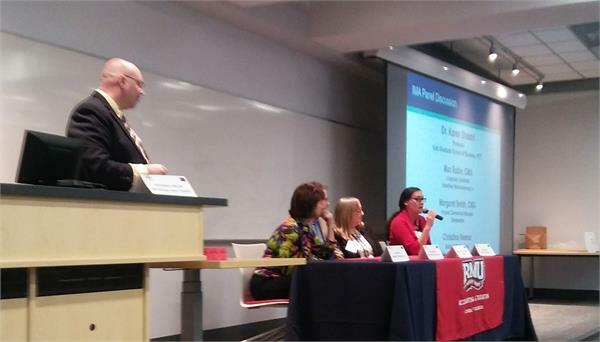 Special thanks to the RMU staff that helped to make the event a success including Dr. Jacob Peng and Renee Lyles. We had students from several universities represented at the event including RMU, Clarion University, PITT, and Southern New Hampshire University. The night started off with a tasty sandwich buffet that was enjoyed by all. The program began with an introduction to the IMA and the CMA certification by Pittsburgh Chapter President Keith Schwarz. Board Member Loretta Corrigan then presented the benefits of Student membership in the IMA. That was followed up with a panel discussion on various topics featuring 4 Pittsburgh Chapter members: Dr. Karen Shastri, Max Ruben, Margaret Smith, and Christina Keener. They all did a great job of representing the IMA and CMA program to the students. 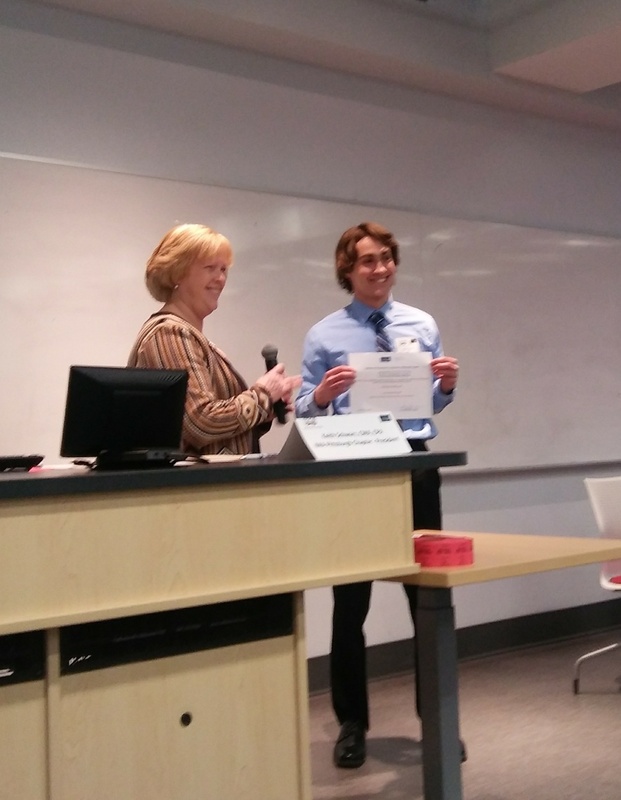 Board Member Carolyn Wolfe presented the 2019 $1000 Scholarship to RMU student Nick Skinner. Nick was very appreciative of the scholarship. Next year’s scholarship application should be available on the Chapter website later this year. The keynote speaker for the evening was Diane Lazarowicz from Top Performance Results, LLC. She presented the students with some great tips and tricks for networking for career success. She had the students develop their personal career message that can be used when networking and Diane even invited to bring some students with her to a networking event. The event was a huge success and was made possible in part by a Memorial Education Fund Grant from the IMA.